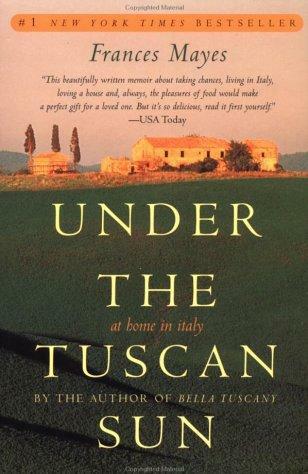 After the great success of the book the film, shot in Cortona and surroundings, where “Under the Tuscan Sun” memoir writer Frances Mayes created memories that resonated with so many readers around the world. 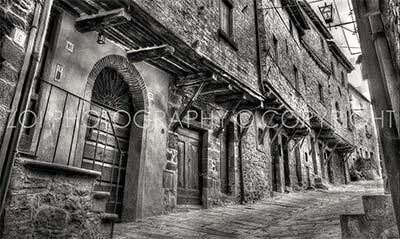 Cortona is now the town where the witer Frances Mayand her Husband spend part of the year. 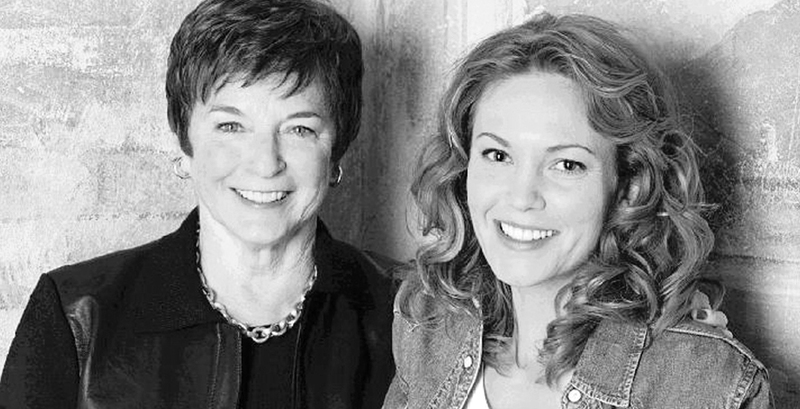 Frances Mayes (Diane Lane) is a San Francisco writer whose seemingly perfect life has just taken an unexpected detour. She finds out at a party that she’s hosting, from a writer to whom she had given a bad review of his book, that her husband has been cheating on her. The divorce leaves her depressed and with seemingly terminal writer’s block; her best friend Patti (Sandra Oh), a lesbian who is expecting a child, is beginning to think Frances might never recover. 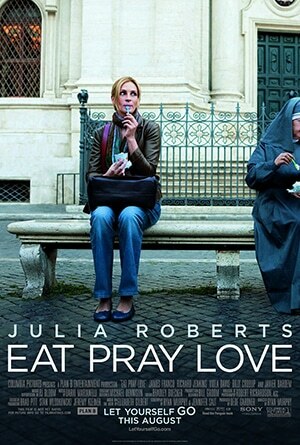 Patti convinces her to take an Italian vacation, to Tuscany in the town of Cortona, but it’s on a gay tour Patti and her partner Grace (Kate Walsh) had booked it for themselves, but changed plans after Patti became pregnant. At first Frances refuses, but then after a depressing day in her new, gloomy apartment, she decides that it is a good idea to get away for a little while after all. In Tuscany, while stopping in a small town she sees a notice about a villa for sale, in Cortona. Then, after the passengers are back on the tour bus, the bus has to stop to let a herd of sheep pass, and Frances realizes that they’ve stopped in front of the very villa that she had seen for sale, something she believes is a sign. She asks the driver to stop and she gets off the bus. 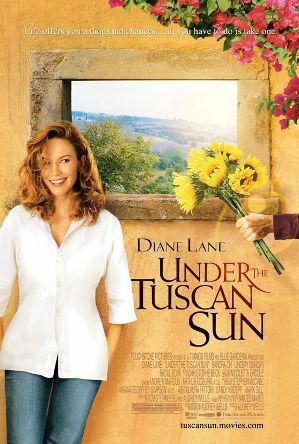 Through a series of serendipitous events she becomes the owner of a lovely yet dilapidated villa in beautiful Tuscany. From this point her life begins anew with a variety of interesting characters and unusual but gentle souls. She hires a crew of Polish immigrants to renovate the house. 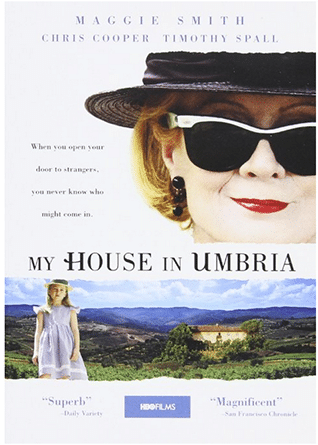 Over time, Frances also befriends her Italian neighbors and develops relationships with her Polish workers, the realtor who sold her the villa, and Catherine, an eccentric, aging, British actress. Later, she is visited by the now very pregnant Patti, whose partner Grace has left her. Frances does meet a romantic interest, Marcello, but it does not last, and she is about to give up on happiness when two young lovers come to her for help. Eventually, she finds the fulfillment she was searching for in a wedding at the villa, where she also meets an American writer who is traveling in Tuscany. The movie ends with a new love in her life. Federico Fellini References: There are few similarities to Fellini’s La Dolce Vita. When the character Catherine caresses a duck at the open market, it is very similar to Anita Ekberg stroking the white kitten prior to dancing in the Fontana di Trevi. 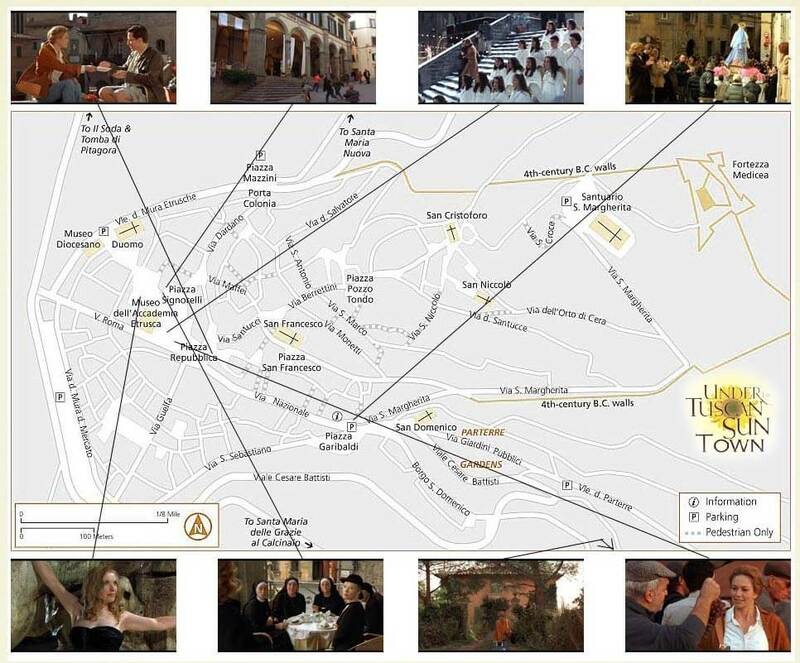 This are the locations used for filming the movie inside Cortona town, the scene of the Fountain was made at Piazza Signorelli, but keep in mind that the fountain (fake) was make for the movie, that the original fountain of Cortona is at the park of Parterre. The Shadow in the Sun, is a move who take place in Val d’Orcia, The film was never released in the European market . However you can purchase the movie online. Italians always have lived over the store. The palazzi of some of the grandest families have bricked-in arches at ground level, with remains of waist-high stone counters where someone used to ladle out preserved briny fish from a vat to customers, or carve the stuffed pig, a job now performed in sleek open-sided trucks that ply the weekly markets or sell from roadsides. I run my hand over these worn stone counters when I pass them. From odd windows at ground level, the palazzo’s house wine was sold. First floors of some grand houses were warehouses. Today, my bank in Cortona is the bottom of the great Laparelli house, which rests on Etruscan stones. On the top floors, windows open to the night show antique chandeliers, big armfuls of light. Often the residents are leaning out, two, sometimes three to a window, watching one more day pass in the history of this piazza. The main shopping streets, lined with great houses, are everywhere converted on the ground floor to the businesses of hardware, dishes, food, and clothing. For many buildings, probably it always has been so. On the facades, I notice how many times previous occupants have changed their minds. The door should be here no, here and the arch should be a window, and shouldn’t we join this building to the next one or add a continuous new facade across all three medieval houses now that the Renaissance is here? The medieval fish market is a restaurant, the Renaissance private theater is an exhibition space, the stone clothes-washing sinks still just await the flow of water, the women with their baskets. But the clock repairer in his four-by-six-foot shop under the eleventh-century stairway of the city offices has been there for all this time, though he may now be changing the battery on the Swatch watch of an exchange student. He used to blow the glass and sift the white sand from the Tyrrhenian at Populonia for his hourglasses. He studied the water clocks drip by drip. I never have seen him stand; his back must be a hoop from slouching over the tiny parts for so many centuries. His face is lost behind the lenses he wears, so thick that his eyes seem to lunge forward. As I stop in front of his shop, he is working by the light that always angles in just so on the infinitesimal wheels and gold triangles, the numbers of the hours that sometimes fall off the white face, four and five and nine sprinkled on his table. Perhaps my own teaching activities are immortal and I just don’t see it because the place doesn’t have this backdrop of time; in fact, my building at the university is a prime earthquake hazard, slated to be demolished. We’re to move to a new building next fall, one with a flexible structure suited to a foundation that is partly sand dune. A postwar structure, the current Humanities Building already is obsolete: fifty-year turnaround. shelf of tools, the shoes to be picked up, and one customer to squeeze into. A red boot like one on an angel in the Museo Diocesano, Gucci loafers, a yard of navy pumps, and a worn work shoe that must weigh more than a newborn baby. A small radio from the thirties still brings in the weather from the rest of the peninsula as he polishes my repaired sandal and says it should last for years. At the frutta e verdura, it is the same, the same white peaches at the end of July. The figs that are perfect now and overripe by the time I get them to the kitchen. Apricots, a little basket of rising suns, and bunches of field lettuce still wet with dew. The Laparelli girl, who became a saint and now lies uncorrupted in her venerated tomb, stopped here for her grapes before she gave up eating, in order to feel His suffering more clearly. “From my garden this morning,” she heard, as I do when Maria Rita holds up the melon for me to smell the fruit’s perfume and her clean hand so often in the earth. When she takes me in the back of her shop to show me how much cooler it is, I step back into the medieval rabbit warren many buildings still are, behind their facades and windows filled with camcorders, silk skirts, and Alessi gadgets. We’re under stone stairs, where she has a sink to wash the produce, then, another step down, we’re in a narrow stone room with a twist into darkness at the end. “Fresca,” she says, fanning herself, and she shows me her chair among the wooden crates, where she can rest between customers. She doesn’t get much rest. People shop here for her cascades of laughter, as well as for the uncompromising quality of her produce. She’s open six and a half days a week, plus she cares for a garden. Her husband has been ill this year, so she’s shifting crates every day as well. By eight, she’s smiling, washing down her stoop, wiping a speck off a pyramid of gargantuan red peppers. We shop here every day. Every day she says, “Guardi, signora,” and holds up a misshapen carrot that looks obscene to her, a luscious basket of tomatoes, or a cunning little bunch of radishes. Every garlic head, lemon, and watermelon in her shop has been lavished with attention. She has washed and arranged. She makes sure her best customers get the most select produce. If I pick out plums (touching is a no-no in produce shops and I sometimes forget), she inspects each, points out any deficiency she detects, mumbles, takes another. Each purchase comes with cooking tips. You can’t make minestrone without bietola; chard is what makes minestrone. And toss in a heel of parmigiano for flavor. Just melt these onions for a long time in olive oil, a dash of balsamic vinegar, serve them on bruschettà. All along the streets, artisans open their shop doors to the front light. As 1 glimpse the work inside, I think medieval guilds might still be practicing their crafts. A young man works on elaborate fruit and flower marquetry of a seventeenth-century desk. As he trims a sliver of pear wood, he’s as intent as a surgeon reattaching a severed thumb. In another shop near the Porto Sant’Agostino, Antonio of the dark intent gaze is framing botanical prints. I step in to look and spot a lovely old mirror on his shelf. “Posso?” May I, I ask before I touch it. When I lift it, the top of the frame comes loose in my hand and the fragile, silver-backed antique mirror crashes to the floor. I want to dissolve. But his main concern is my seven years of bad luck. I insist on paying for the mirror, over his protests. He will make a couple of small mirrors with the old foxed shards and he will repair my frame and put in a new mirror. As I leave, I see him carefully picking up the pieces. Most fascinating to look into is the place where paintings are restored. Strong fumes emanate from this workshop where two women in white deftly clean layers of time off canvases and rework spots that have been punctured or damaged. Renaissance painters used marble dust, chalk, and eggshells as paint bases. Sometimes they applied gold leaf onto a mordant made of garlic. Their black paint came from lampblack, burned olive sticks, and nutshells; some reds from insect secretions, often imported from Asia. Ground stones, berries, peach pits, and glass yielded other colors, which were applied with brushes made from boar, ermine, feathers, and quills: spiritual art coming directly out of nature. To duplicate the colors of those mulberry dresses, mauve cloaks, azurite robes, modern alchemical processes must go on in this little shop. In holes in the wall all over town, the refinishing of furniture goes on. Many men make tables and chests from old wood. There’s no subterfuge involved, no attempt to pass them off as antiques; they know the aged wood won’t crack, will take the stain and wax, in short, will look right, that is, old. We take our tools to be sharpened in a blackened room where the fabbro apologizes because he can’t get them back before tomorrow. When we pick up the ten hoes, scythes, sickles, etc., their knife edges gleam. Tempting, but I do not run my finger across the edge. The tailor does not wear glasses and his stitches could be done by mice. In his dark shop with the sewing machine by the window and the spools lined up on the sill, I see a new white bicycle, a water bottle attached for long trips, nifty leather saddlebags over the back wheel. When I see him later, though, he is only in the town park, feeding three stray cats food from his saddlebags. He unwraps the scraps they are so clearly expecting. He and I are the only ones out on Sunday morning, when most people who live here are doing something else. When I gave him my pants to hem last week, he showed me a circle of photos tacked up on the back wall. His young wife with parted lips and wavy, parted hair. Morta. His mother like an apple doll, also dead. His sister. There was one of him, too, as a young soldier for the Pope, restored to youth, with black hair, his legs apart and shoulders back. He was twenty-five in Rome, the war just ended. Now fifty more years have passed, everyone gone. He pats the white bicycle. I never thought I’d be the one left.